Dorje Yudon and Gyari Nyima tell their story as follows: at the time of the Chinese Communist invasion, Gyari Nyima was the head of the Gyaritsang family. He had two wives, Norzin Lhamo and Dorje Yudon, sisters from the Miloktsang family who were seven years apart in age. One day, the Chinese called the chiefs to a meeting in Kanze. At this meeting Gyari Nyima was shocked to hear that a series of democratic reforms were about to be initiated. These included political “struggle sessions” in which people were made to publicly criticize others, the establishment of communes, the elevation of common beggars to high positions, and the recording of wealth of each family. The more Gyari Nyima heard about these drastic changes, the more convinced he became the time had come for revolt. He rushed home from Kanze to tell his wives the news. Together, the three of them sat down to discuss strategy. Gyari Nyima’s chieftain status meant he was often under Chinese military surveillance. His senior wife, Norzin Lhamo, had a similarly high profile with the Chinese. Dorje Yudon, however, was less of a public figure and not watched as closely, so they decided she should be the one to organize the rebellion in their area. They chose eighteen men to protect the family and named this group the stag phrug, or “tiger cubs”. If their rebellion was unsuccessful, their back-up plan was to flee to Lhasa. Meanwhile, chieftains in Lithang decided to organize a region wide rebellion to protest the reforms. They sent letters by messenger to the Gyaritsang family and other chieftains throughout Kham. The letter proposed a simultaneous revolt throughout Kham on the eighteenth day of the first month of Tibetan year. This group called itself bstan srung dang blangs dmag (Volunteer army to defend religion). 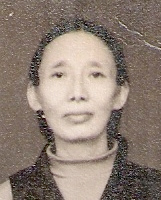 In her reply, Dorje Yudon confirmed that the Gyaritsang family and the people of Upper Nyarong would participate in the coordinated rebellion. Soon after, Chinese officials summoned Gyari Nyima to Dartsendo for a meeting, which turned out to be a ruse to draw the chiefs to Dartsendo, where they were captured by PLA troops. While Gyari Nyima was away, Dorje Yudon received word from Lithang that twenty-three Khampa chiefs had agreed to participate in the simultaneous revolt. Norzin Lhamo rushed to Dartsendo, a journey of several days, to tell Gyari Nyima the news about the revolt so that he might try to escape. In Dartsendo, however, he and the other Tibetan chiefs were guarded by sixty to seventy PLA soldiers at all times, making escape impossible, so Norzin Lhamo returned to Nyarong alone. Two days later, along with twenty-two other local leaders, the Chinese summoned her to the Nyarong town of Renuk for a series of meetings. Since the most important chiefs and leaders were away at the meeting in Dartsendo and Renuk, Dorje Yudon called the community together for a meeting of their own. She gathered one hundred of the remaining Upper Nyarong leaders together and told them about the Chinese plans to institute reforms and the Tibetan plan for rebellion. The community supported the rebellion plan and sealed their commitment to it by putting their guns together and making a solemn oath to join Dorje Yudon in revolt. The members went to spread the news of the planned revolt and their villages. Each family in Upper Nyarong who could afford to donate one gun and one horse to the Gyaritsang family for the rebellion army. Dorje Yudon sent messages to other Khampa leaders to inform them of her preparations. En route to Drango Monastery, her messenger was followed and her letter intercepted by the Chinese officials. They uncovered the plans for the rebellion and assassinated the head of the monastery. Word of this turn of events did not reach Upper Nyarong in time. In anticipation of the democratic reforms, the Chinese had invited five hundred poor Khampa families to Kanze and, solely because they were from the lowest classes of society, bestowed the title of model citizen upon them. These families were to be the leaders at the struggle sessions and were intended to eventually replace chieftains such as Gyari Nyima. After discovering the Tibetan rebellion plans, the Chinese set the Tibetan model citizens into action, sending them out to the various regions of Kham with instructions to kill the chieftains and confiscate all of their weapons. One group entered the palace of another Nyarong chiefly family, the Gyarishiba, and killed six people. Another model citizen tried to assassinate Dorje Yudon with a grenade but was stopped by her servants. Assassination attempts took place throughout Nyarong. The local people were shocked and realized there was no longer time to wait for the coordinated rebellion; they needed to act immediately. Dorje Yudon ordered the Tiger Cubs bodyguards and the one hundred community leaders to arrest all model citizens in Upper Nyarong. These individuals were brought to the Gyaritsang castle in Ralong, where Dorje Yudon spoke to them about the divisions the Chinese were trying to forge within the Nyarong community. She told them that if they pledged to support the revolt rather than help the Chinese, she would release them. Each model citizen who promised to work for Nyarong was therefore released. Meanwhile, Dorje Yudon’s troops arrested or killed all Chinese troops in the area. Upon hearing about these events in Nyarong, the Chinese leaders in Renuk brought Norzin Lhamo to Ralong to convince Dorje Yudon to cease fire. The two sisters met twice. At their second meeting, Dorje Yudon devised a plan to rescue Norzin Lhamo and to capture forty Chinese soldiers. She received the Chinese troops in the castle with great hospitality. She also arranged for a large group of monks to be praying inside the castle, a common sight in wealthy Tibetan homes. During their meeting, the Chinese set up two machine guns, one aimed at the Tibetan chiefs and one aimed at the monks. Under the pretense of going to relieve himself, a monk rose from his seat and surprised one of the machine gunners, quickly overpowering him. The other monks followed him and were able to disarm the rest of the soldiers. Dorje Yudon then negotiated the exchange of her captives and their weapons for twenty-two Nyarong leaders held at Renuk. Renuk was now the only area in Upper Nyarong that still had a Chinese presence. The Chinese stationed themselves in Drukmo Dzong, the Castle of the Female Dragon, which had formerly been the Gyaritsang family palace. After all of the chieftains were safely released, Dorje Yudon led an attack on the castle. Her troops, which numbered fourteen hundred, did not have sufficient artillery to destroy the thick walls of the castle, so they surrounded it, intending to cut off supplies of the Chinese soldiers inside. Before long, one thousand troops from the Eighteenth Division in Kanze arrived to assist their fellow PLA soldiers. Dorje Yudon’s troops killed all but forty-three of these troops and lost twenty-six of their own soldiers in battle. Dorje Yudon told the Chinese she would agree to a cease-fire if they would meet two conditions. She first asked that Gyari Nyima and the other Khampa chieftains captive in Dartsendo be released. Her second request raised the stakes: she demanded that the Chinese stop their democratic reform program. In time, the Chinese brought Gyari Nyima and six other chieftains to Nyarong under heavy guard. Dorje Yudon and her troops were not allowed close contact with them, and she decided to end negotiations with the Chinese. All the captured chieftains were taken back to Dartsendo. Four thousand Chinese troops soon arrived in Nyarong to fight against Dorje Yudon’s troops. The ensuing battle was long and hard, and eventually the Tibetan troops had to retreat because they were greatly outnumbered. In the battle, however, they were able to capture two hundred Chinese weapons that were greatly superior to the antiquated weapons of the Nyarong troops. By this time, approximately fourteen hundred Chinese troops had been killed in Nyarong. In Dartsendo, the Chinese decided to release Gyari Nyima and the other chieftains. However, after they released them, they publicly announced that the chieftains had escaped. Calling their release an escape legitimated the next Chinese move: sending out teams of model citizens with instructions to hunt down the chieftains and kill them. The model citizens of Upper Nyarong remained true to their pledge to Dorje Yudon. They pretended to go in search of Gyari Nyima but killed another person and claimed they thought it was Gyari Nyima. As a result, Gyari Nyima was able to make it back to Ralong safely to join Dorje Yudon and Norzin Lhamo. The situation changed drastically with the next battle. Thirty thousand Chinese troops surrounded Nyarong. Dorje Yudon’s troops were only one thousand strong at the time. As they retreated, they split into two groups, one led by Dorje Yudon and Gyari Nyima and one by Gyari Nyima’s uncle and brother. The two sides were never to see each other again. The Gyaritsang family salvaged all they could from their home and set off for the mountains with two hundred troops. They joined forces with several other families to increase their numbers to two thousand. They lived like nomads, moving frequently to evade the Chinese troops who were constantly hunting them, often engaging in battle, and always suffering shortages of food and other supplies. This situation continued for months, and as many as eighteen battles were fought in one month. After a year had passed, Dorje Yudon’s and Gyari Nyima’s group found themselves surrounded by forty thousand Chinese soldiers. Their battle against these troops was devastating, as many of the Tibetans were arrested or killed and those remaining were separated in their escape. The Gyaritsang group was reduced to two hundred individuals, including a baby girl that was born soon after this battle. Four of the Gyaritsang children had been traveling with the family since they had taken to the mountains, and two others were staying in local monastery. Dorje Yudon had one final secret visit with the two in the monastery before the family left for Lhasa and eventually made their way to India as refugees. Like communities throughout Kham and other areas of Tibet, Nyarong was ravaged by both war and the reforms at the cost of great loss of life, disruption of everyday routines, political order, and religious practice, and the often permanent fragmentation of families. Dorje Yudon repeatedly emphasizes loyalty across classes; in her narration, the people of Nyarong are a stratified but unified group: together they fought; together they suffered. [Dorje Yudon, Norzin Lhamo and Gyari Nyima are the parents of Lodi Gyari; His Holiness the Dalai Lama’s special envoy. I choose to share this specific story from Carole’s book because I was so blown away by Dorje Yudon’s courage and strength, but more importantly she was a woman leading this fight. In the stories we have heard of the resistance, it was rare to hear one in which the woman lead the fight, apart from Ama Adhe and Ani Pachen. In remembering and drawing from the courage of the resistance fighters and Tsewang Norbu (the monk who self-immolated), let us move forward and remember that it was/is always up to the people to stand up, resist and fight regardless of the confusions that the apparatus run into. The resistance movement did and so did the people inside Tibet.